Neckwear designer Puccini paired the elegance of a solid black necktie with the fun and excitement of the popular polka dot tie. 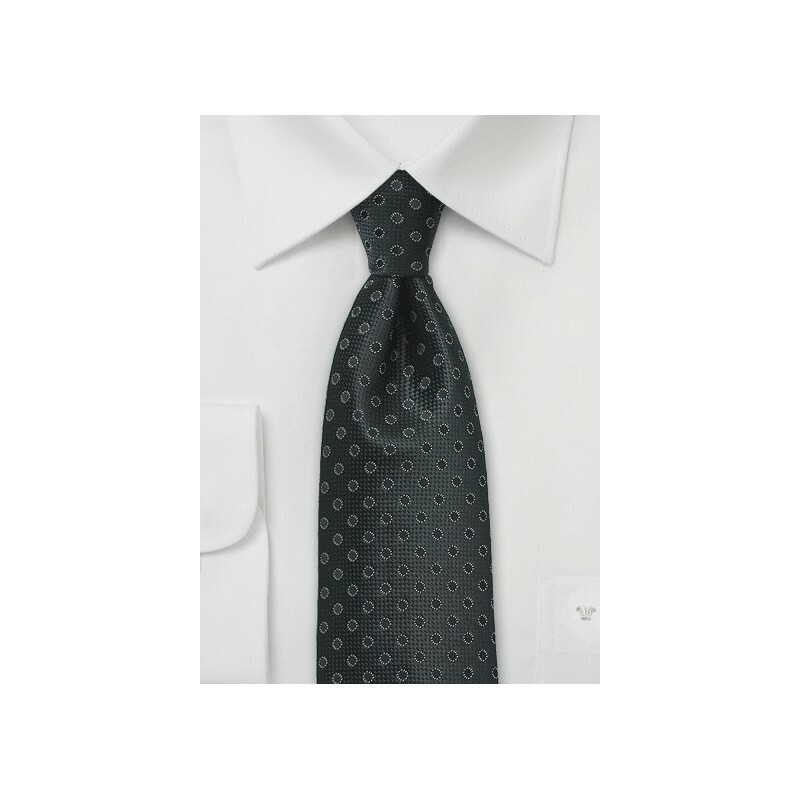 Thanks to a monochromatic design and color palette, this tie is fantastic for all your patterned shirts. 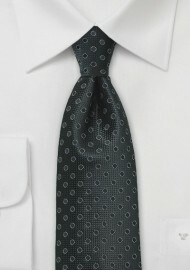 We picture this tie to be work with a gray and white plaid shirt, charcoal pants, and the matching charcoal color vest. Made from care-free microfiber.